Are you an energetic person who enjoys bicycling and working with people? 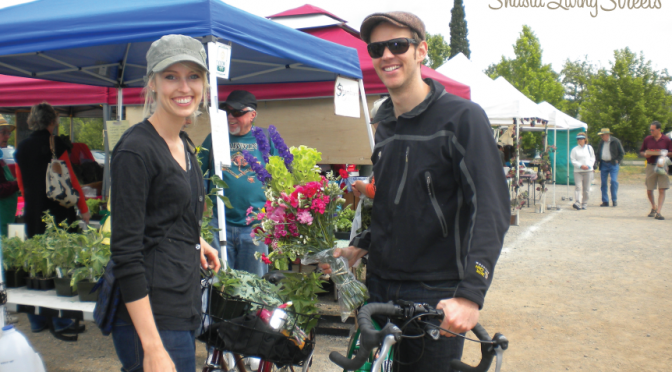 Shasta Living Streets is a successful growing organization seeking an enthusiastic Bike Valet Lead to join our team to provide amenities that will inspire individuals and families to choose to bicycle to events and daily activities. This is a part-time position, 5-6 hours on Saturday at the Farmers’ Market. The Bicycle Valet Lead will answer questions and talk with people about opportunities for cycling in our community, about their interests and concerns, and how they can be involved to build a bicycle friendly community. 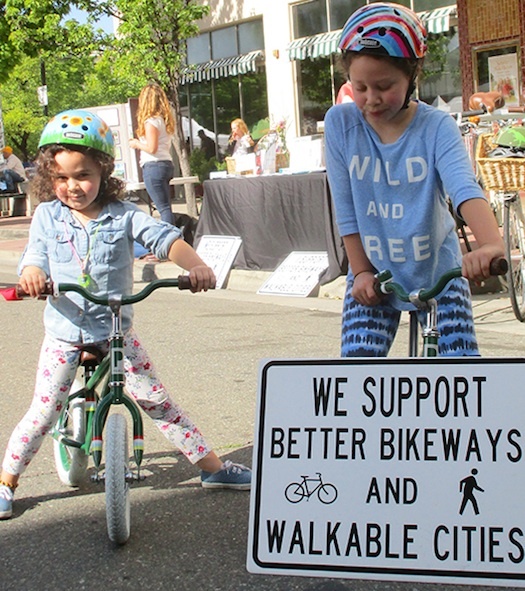 As a Bike Valet Lead you will provide services and engage people to help build quality of life in Redding and Shasta County through excellence in active living. We look forward to meeting you. Thank you for your interest. Bike Valet turns community events into bikeable destinations by providing turnkey valet bicycle parking services for event participants who arrive by bicycle. Bike Valet is like a coat check for your bike. The goal of the Bike Valet Program is to make our region a more livable and more prosperous place by enabling more people to choose bicycling for everyday travel. 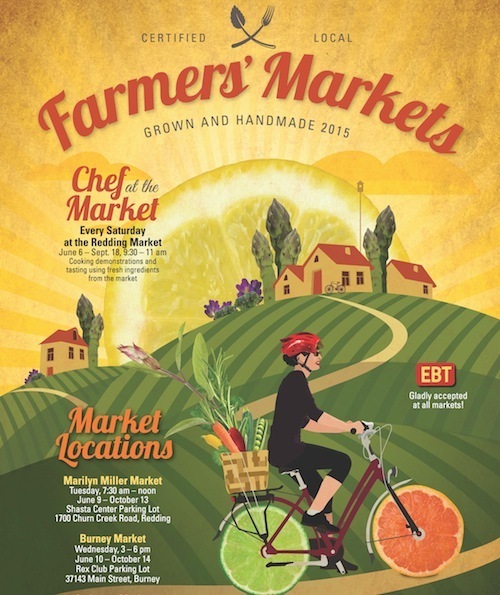 This year we are partnering with the Shasta Growers Association to provide bicycle valet parking service, free to all Farmers Market patrons, on Saturday at Redding City Hall. This program helps individuals and entire families feel better equipped and more confident about riding a bike together for everyday travel that will extend to other outings and bike/walk opportunities, for example, when children start school. This service helps people take initial steps to get out and ride, to learn about resources, and to build confidence and comfort for daily active living in their own neighborhoods. This location and venue provides an opportunity to reach out to families and individuals that we otherwise do not reach. We will gather input and fun photos and share these with our members and the public to help inspire others and build local community support for active lifestyles. Please review the job description, and send a detailed resume and cover letter explaining how you personally connect with Shasta Living Streets mission and why this position is a good fit for you.